Allen Lee Ruff, 21, of Laurel, born Friday, Sept. 13, 1996. Parents David and Lynnette Ruff. Siblings Anna, Austin and Adam Ruff. Grandmother Shirley Ruff. Cousin Jake Ronan, that was like a brother. Fiance Cadie Frickel, daughter Paisley Ruff and baby on the way. 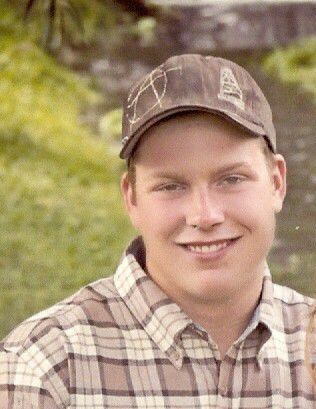 He passed away Friday in a dirt biking accident having the ride of his life with good friends Robert and Aaron. Allen had such amazing talents in life from being a great farmer, mechanic, artist, friend, son, brother, husband, and father. Allen left behind wisdom, love, and memories with everyone. He will be greatly missed by Aunts, Uncles, Cousins, friends and many more loved ones that knew him dearly. His Celebration of life will be held at First Congregational Church in Laurel MT Friday, May 25, 2018 at 1 p.m. Memorial Contributions will go to a Trust for Allen's daughter Paisley and baby.